Our emergency shelter program in Berkeley, CA provides low-barrier access for youth experiencing homelessness. We provide basic necessities, offer case management and counseling, linkages to education, employment and housing, and opportunities for meaningful community involvement. The YEAH! shelter is open seven nights a week, all year round. It is staffed each night by two trained supervisors and a team of volunteers. 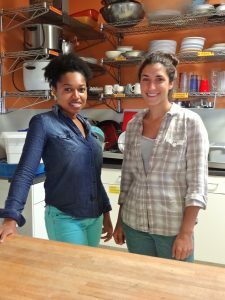 Youth in the program are served a hot dinner and breakfast in the morning. They sleep on mats with fresh sheets. Clean socks and underwear are provided when available. They have access to a shower nightly. With our help, some of the youth have been reunited with family, or moved into permanent housing. In addition, we provide medical referrals and on-site therapy. 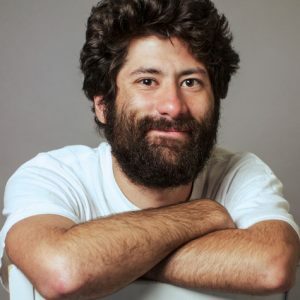 We also work closely with Berkeley Mental Health, Lifelong Medical Clinic, the Homeless Action Center, Suitcase Clinic and other local agencies. Through our Clinical Day Program, YEAH! provides intensive case management and counseling to a select group. Participants meet regularly with a trained clinician. Together they set goals and chart a path to their preferred lives. Youth are helped to find employment, to secure permanent, affordable housing, to return to (or stay in) school, and to learn to utilize community resources. HOW TO VOLUNTEER AT YEAH! Volunteering at the shelter contributes to everyone’s well being. Volunteers learn from youth, from their fellow volunteers and from the trainings provided by YEAH!. In turn, youth have a warm bed, hot meals and a way of making connections with people from the wider community. In the shelter, we need volunteers to prepare food (6-8 pm), and serve food and/or wash dishes both morning (6:30-8:30 am) and evening (7:45-10:15 pm). Other volunteers are needed to interact with youth, hand out sleeping materials, assist with shower sign-ups and oversee the laundry: both morning (6:15-8:15 am) and evening (8:00-10:00 pm) shifts are available. We frequently hold orientations for volunteers, which they are asked to complete before volunteering. All orientations and trainings take place every second Tuesday, from 5:30 pm to 7:00 pm (8:00 pm for some volunteer positions) at 1744 University Avenue, located inside the Lutheran Church of the Cross. Email volunteer@yeahberkeley.org for more information about volunteer opportunities and to learn when the next orientations will be. 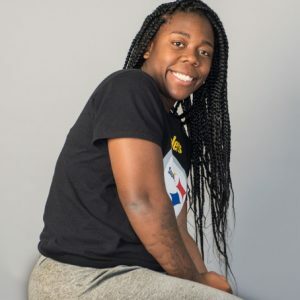 Read more about how Vanessa finally got to move into her own place, why Jarekyhe loves working for YEAH!, Amazon needs, and how the partnership came about between YEAH! and Covenant House California. Download now! SUPPORT OUR YOUTH AT YEAH! Thank you so much for checking out our wish list. Necessities like toothbrushes, underwear, deodorant are just a few items on our list. Please send an email to dimpel.sandhu@covca.org with your name & a list of items donated so we can send you a thank you letter & receipt! Amazon often doesn’t tell us who sent us items & we want to thank you! 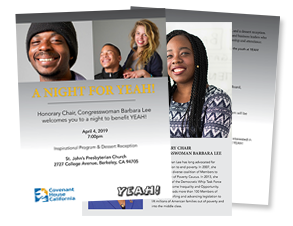 Honorary Chair, Congresswoman Barbara Lee welcomes you to a night to benefit YEAH! on April 4, 2019 at 7:00pm. You won’t want to miss this complimentary event featuring an inspirational program and a dessert reception. 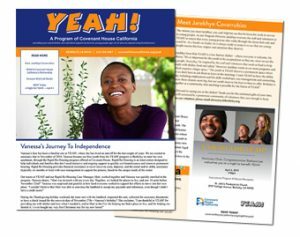 We hope you can join us at St. John’s Presbyterian Church at 2727 College Avenue, Berkeley, CA 94705 to learn more about how YEAH! 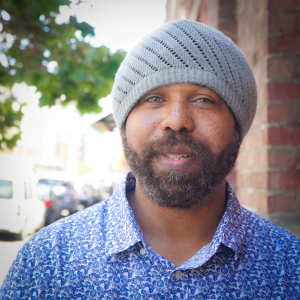 is doing great things in Berkeley! Click here to download a PDF for even more information on this event. Berkeley’s homeless population is estimated to be 1,200, about 225 of whom are youth aged 18 to 25. Three quarters are male and 54% Caucasian. In interviews, 85% said they are local, 73% self-reported active drug or alcohol use, 36% indicated they have mental health problems, half have not graduated from high school, and 79% have no source of income. Thirty-seven percent have lived in foster care, fifteen and a half is the average age at which they became homeless, and the average length of time they’ve been homeless is 2.5 years. Since homeless youth often keep pets for companionship, we make efforts to accommodate them at YEAH!. From donating everyday items to serving our young people a warm dinner, we invite you to make a difference.